Trajectory milling is a 3 to 5 axis milling sequence. It allows to sweep a tool along any user-defined trajectory. It gives the user very low level control over the tool path. Defining a 2-Axis trajectory milling NC Sequence. 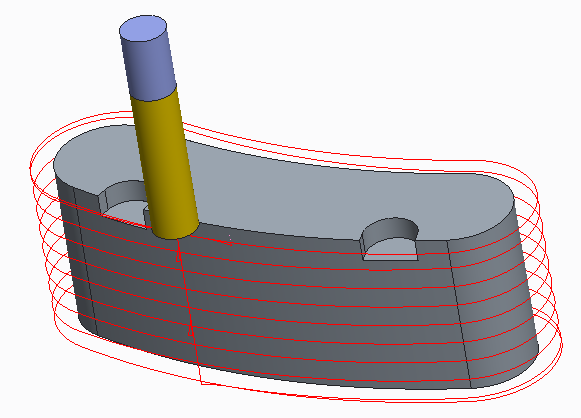 Defining a 3-Axis trajectory milling NC Sequence. Checking the gouges against reference part. How to perform 3-Axis multi-step trajectory milling.